Unexpected sunshine in Ruari's room. 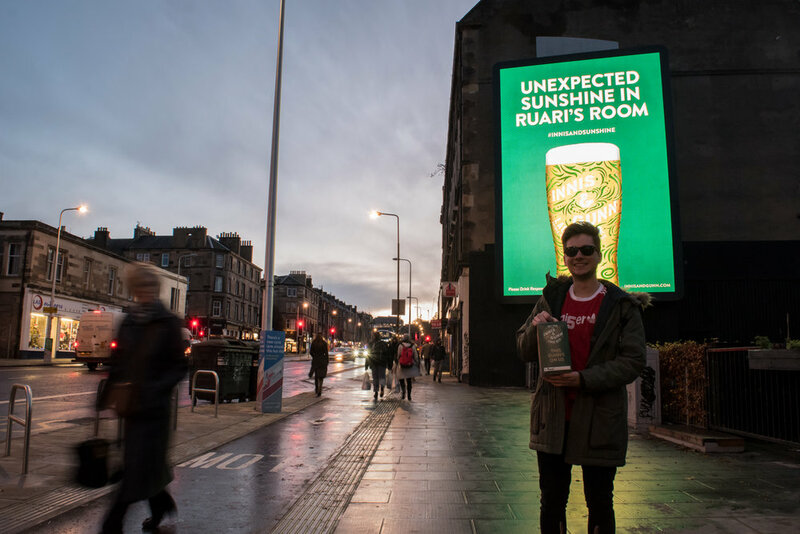 Within the Innis & Gunn Lager campaign we also readied some reactive digital bad boys, finger ready over the big ‘ACTIVATE’ button (such a button may not exist, don’t quote us on that). 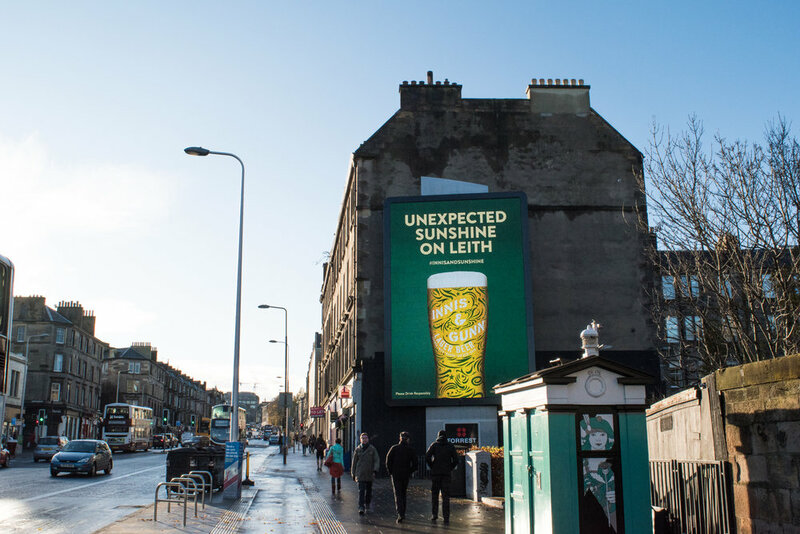 One such example was - on the off chance of a nice sunny day - a poster exclaiming ‘Unexpected Sunshine On Leith’ glaring down Leith Walk. The sun arrived, and so the possibly non-existent button was pushed. Feedback from locals was almost entirely positive, apart from one man. Ruari. Poor Ruari. The digital poster was shining so bright it was turning his living room green during the night. We responded on Twitter dot com apologising and suggested changing the copy to ‘Unexpected Sunshine In Ruari’s Room’, and then we thought “actually why don’t we literally do that?” So we did it, obvs. Within the hour, the poster was amended and we visited Ruari with some free lager and a pair of Innis & Gunn branded sunglasses for his troubles. He was a tremendous sport and even posed for a wee picture next to his personalised poster. The story was picked up by national press and we’d made our reactive posters become reactive to those reacting to them. Meta marketing, huh?